Sedans are a very important car segment for manufacturers in India. After all, these vehicles are inspirational for those wanting to graduate from small hatchbacks. All mainstream passenger car makers have sedans in their portfolios and together offer as many as 16 models under Rs 10 lakh. While all these models come with a diesel engine, 15 come with petrol options, 9 with diesel automatic combination and 7 with petrol automatic set-up. Seven among the 16 options are under 4 meter in length in order to enjoy small car tax benefits. Based on the Tiago, the Tigor compact sedan is the most affordable car of its body type in India. Available in both petrol and diesel engine options, it is also the only one that comes in a performance variant, the JTP avatar. Tata recently updated the Tigor with minor changes and calls it the new 2018 version. The petrol Tigor comes in two stats of tune – the normal 84 bhp versions and the turbo charged 112 bhp model. The 5-speed manual transmission remains common though ratios are revised in the latter. If you want thrills from a sedan, one that looks sporty enough, the JTP Tigor is highly recommended! The diesel Tigor gets a 1.05-litre turbo diesel unit belting out 69 horses. Though it is very efficient, like the 3 cylinder petrol, this one too exhibits unwanted vibes and roughness associated with such a set-up. Where the Tigor does excel is in the ride and handling department. It does manage to absorb bad roads rather well and scores high on comfort. 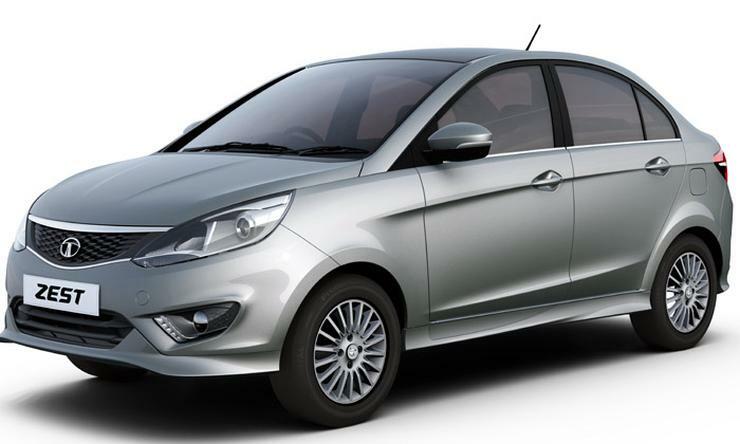 Tata Motors is very confident of the product and at this price, we couldn’t have asked for more! Tata’s other sedan is the Zest and is the widest car in the segment which means seating three abreast at the back isn’t an issue. The Zest is also one of the few cars that Tata Motors exports to countries like South Africa. It was launched in 2015 and was their all-new sedan in years and erased all our past memories related to the Indigo and the Manza. While the design clearly laid emphasis of its past association with cars from Tata’s stable, everything else was a huge step forward with modern technology – for example the turbo charged petrol motor, a great infotainment system with multiple customisation options, a near perfect ride and handling package among others. 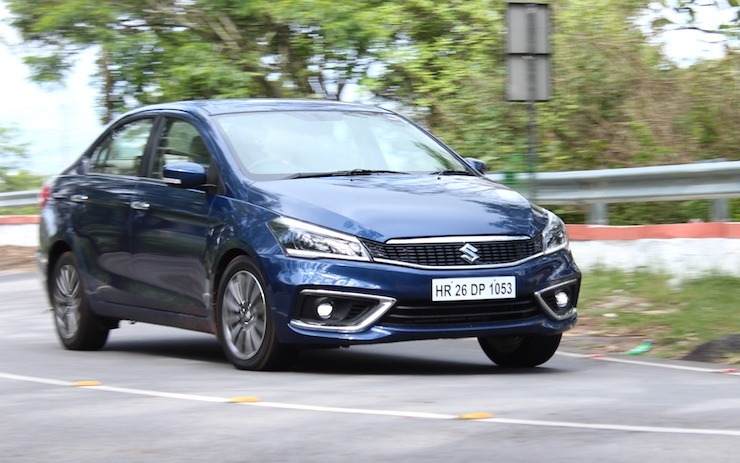 However today, with the competition having taken the game ahead by leaps and bounds, the Zest does not come across as a much recommended package. 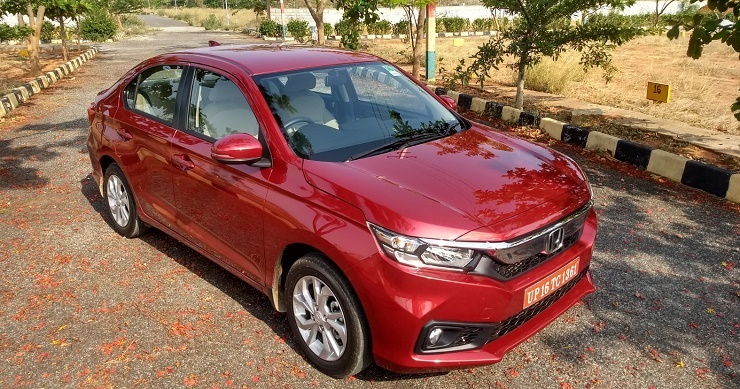 True it is spacious, feels like a well built car, has excellent ride quality and good engines, but for personal usage, given the brand appeal in front of rivals, the Zest will not make for a compelling buy. That said, with discounts, it offers the most affordable diesel-auto set up in the segment. Dwindling sales numbers reflect a sad story : not a bad car per se, but the competition is so much better now. As competition became better in the compact sedan market, Ford engineers had to re-visit their tables and come up with a heavily updated version, the new 2018 Aspire. The new grille, revised bumper and better looking fog lamp inserts might be subtle changes but go a long way in making it look fresh and premium. The new, larger 15-inch alloy wheels gel along well with the positioning of the car. The rear gets minor updates but as you step inside the cabin, you are greeted with a host of additions. The biggest highlight on the inside is the new SYNC3 interface that not only offers you segment best touch reception, but also comes bundled with navigation, reverse camera, Apple CarPlay and Android Auto. Its a breeze to use, even for new users and was first seen in the Freestyle and the recently updated EcoSport. Moving on, you also get a push button start-stop feature, auto headlamps and auto wipers. The diesel engine is a carry over but it is mated to a new 5-speed gearbox that is lighter and improves fuel economy marginally. The big news however is the arrival of the 1.2-litre Dragon series petrol engine in the Aspire. It offers 9% more power and 7% higher torque while being way more efficient too. The automatic continues to get a 1.5-litre petrol but this time around, Ford has ditched the DCT or dual clutch transmission for a more conventional torque converter. It is also the only car to offer a standard warranty of 5 years / 1,00,000 km! The Dzire gets two of the most trusted engines from Maruti’s family – the 1.2-litre petrol and 1.3-litre FIAT sourced diesel unit. Both the engines are known for their trouble free performance and Maruti offers optional AMT with both fuel types. The new model is lighter which means engines end up delivering better performance and lower fuel consumption – the diesel Dzire for example of the most efficient car in India! With the current generation Dzire, Maruti has also improved on the ride and handling parameter tremendously. The steering is light, car agile and yet at higher speeds, the Dzire remains composed. Maruti is even offering ABS and dual airbags as standard across the range. If you want a reliable sedan with space and comfort at this price, look no further. The fourth largest selling sedan under Rs 10 lakh is the Xcent. However, trust us, a large chunk of these get sold in the commercial market and that dents its brand value a lot. Its not a bad car per se, delivering a good mix of cabin space, upmarket feel, features and a good drive. The Xcent gets both a 1.2-litre petrol and a 1.2-litre diesel unit with the latter being a 3-cylinder set-up. The petrol is offered with a proper torque converter automatic and not an AMT. Infact, this is the most affordable non AMT automatic sedan in India. The Xcent does end up offering good comfort for passengers. This is due to a mix of space, high quality cabin and a good suspension set-up. That said, its not an enthusiast’s car in the way it delivers performance and handling. What sets the ball rolling in its in favour are the massive discounts, as much as 85,000 including cash and exchange bonus benefits. If you want a no nonsense comfortable compact sedan and dont have an automatic on the wish list, the Xcent does make a lot of sense. Just don’t one in white! 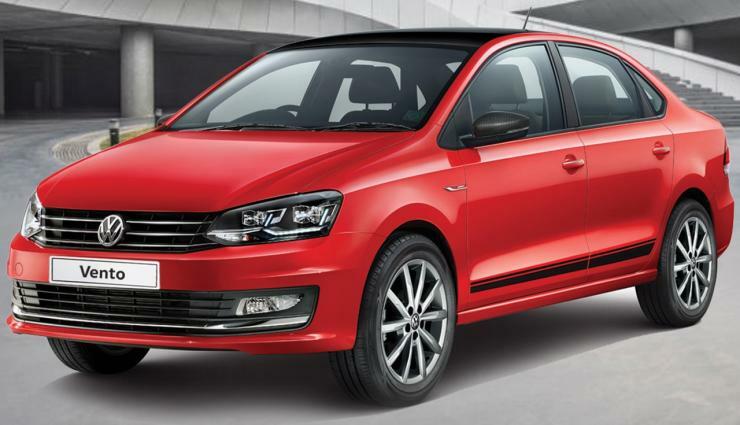 Volkswagen’s first compact sedan is outselling the larger Vento month on month. And why not? 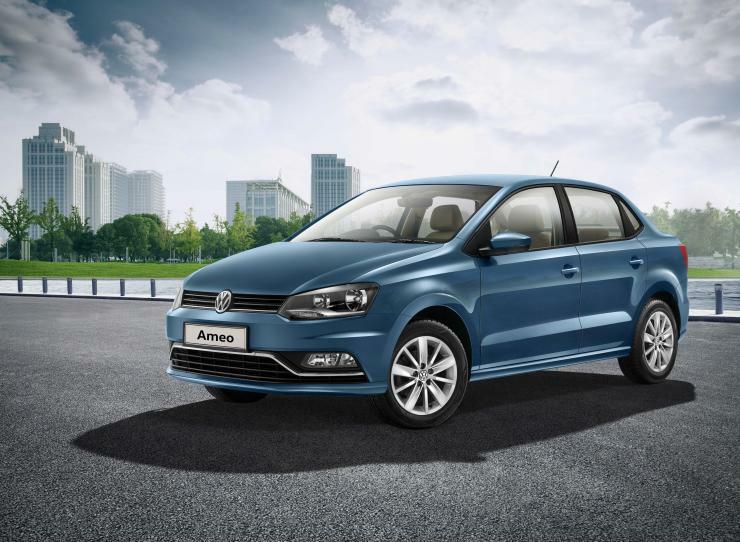 Its priced similar to the smaller Polo and with a boot, gives owners an ego massaging ownership experience. Build quality is solid and we love the way the Ameo feels on the go. Talking of which, it has an excellent ride and handling package, something that only larger sedans offer. Even the 1.5 litre diesel engine is impressive, offering almost 110 bhp of power and 250 Nm of torque. Mated to a DSG gearbox, it is the best diesel-auto under Rs 10 lakh. However the same cannot be said about the petrol unit. It has the lowest displacement here, just 1000cc, and offers very average performance with the least fuel economy. Even cabin space is limited, and so is the boot capacity. The Ameo comes across as a feature loaded car. From cruise control to automatic wipers, you also get auto dimming rear review mirrors, rear air-con vents and a cooled glovebox. Current discount and offers are among the highest in this list and so are the warranty packages – 2 years unlimited mileage, 2 side road side assistance, 3 years paint warranty and 6 years anti-perforation warranty. 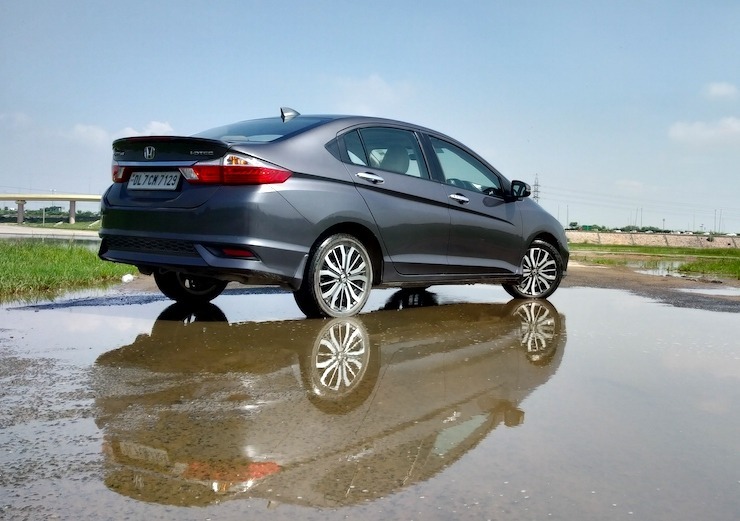 Honda launched the all-new Amaze early in 2018 and it has gone on to become the second largest selling sedan in India. Being an all-new generation model, the Amaze excels in all parameters as compared to the outgoing model. It looks new and wears a mature look up front – it is still under 4 meters in length but looks larger in real life. Cabin remains its strongest point, offering one of the most spacious interiors under Rs 8 lakh. Honda has worked hard to impart a premium feel with a dual tone theme and high quality materials and it shows. Interiors remain plush for the segment and offer excellent comfort for five adults. The Amaze continues to come with the same 1.2 petrol and 1.5 diesel units though this time around, both the engine options get optional CVT set-up, a segment first. A CVT transmission is much better as compared to the now common AMT / AGS set-up and offers less lag during gear changes. Fuel economy remains high and Honda claims running cost of just 35 paise/km for petrol and 49 paise/km for diesel in the long run. Honda has also made the steering larger and heavier in terms of its weight – even the shaft size has gone up from 22 to 33 mm. This in turn calls for less effort from the driver and though I would not call it feather light, it works well for slow speed driving. Honda will be offering a standard warranty of 3 years / unlimited km along with extended warranty options of 4 and 5 years, again with unlimited usage. This is segment best! The Etios manages to outsell cars like the Tata Tigor and Ford Aspire and a major chunk of the sales come with the commercial segment. There is a reason for this : the Etios offers one of the best comfort levels at the back seat, long term reliability and good mix of torque and efficiency from the engines. Toyota even offers a dedicated fleet model that comes with ABS, dual airbags, cooled glovebox and even power windows. This model also gets special benefits for peace of mind to cab operators. 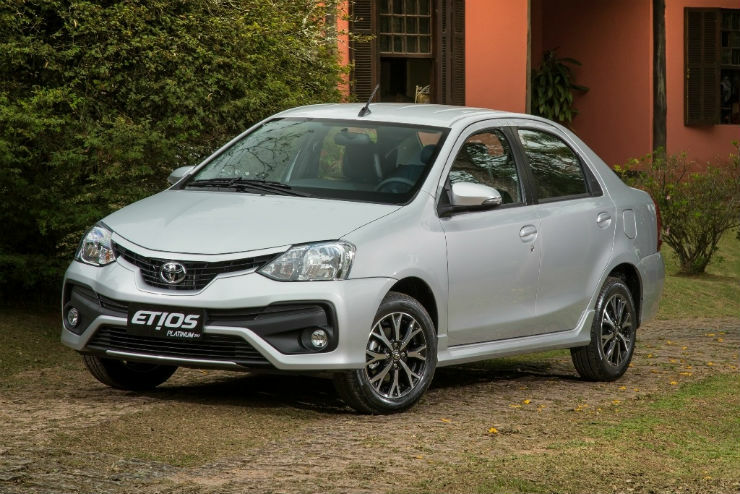 Now while the Etios may not be a great looking car and certainly does not have a modern cabin, if you want a chauffeur driven car and a fuss free long term ownership experience, do give this one a serious look. As a self driven car though, the Etios fails to impressive. We aren’t a fan of the centrally located speedometer console and the one in the Etios lacks any sort of driver information. It is also one of the few sedans under Rs 10 lakh that does not offer an optional automatic. Further, there is no touch screen infotainment or smart keyless entry with start-stop feature. However, being longer than 4 meters means it comes with a massive boot – almost 600 litres of space in here. Overall though, stay away if you want a car for personal needs on a daily basis. Note that post discounts, only the lower trim levels of Verna can be bought under Rs 10 lakh. The current generation Verna was launched in 2017 and has been managing to outsell its arch rival, the Honda City. Its priced lower, has more features and you just can’t overlook the punchy diesel motor on offer. 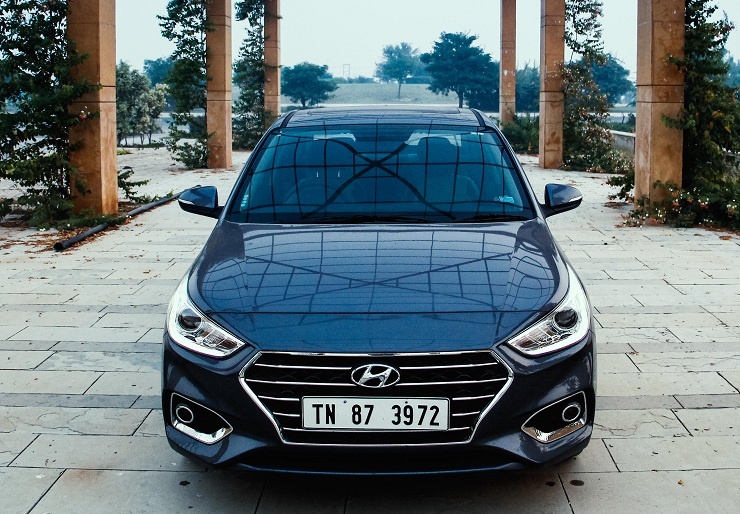 The Verna also looks elegant, with styling cues taken from the bigger Elantra. This is a big USP and so are the interiors – while the design might not excite you much, the quality certainly will. The dual tone theme works well and there is liberal use of silver inserts at places. It is also a very feature loaded cabin with segment first additions like cooled seats and even a hands free boot operation. You also get a sunroof and upto 6 airbags. The Verna comes with a choice of four engine options, 2 each of diesel and petrol. You can also opt for an automatic with both the fuel types. There is no denying the fact that the more powerful 1.6 units should be the pick but they cost over Rs 10 lakh! In terms of dynamics, the Verna has improved a lot over the years and gets a good compromise of ride and handling. Infact, with superb NVH levels (and even a smooth diesel), the Verna is quiet on the move. Our only drawback on the move is the limited rear legroom, not in the league of cars like the City and the Ciaz. Note that post discounts, only the lower trim levels of Rapid can be bought under Rs 10 lakh. 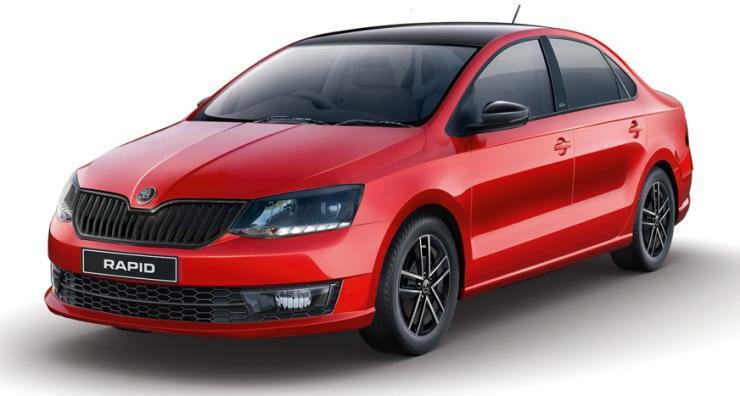 Skoda has worked hard on the Rapid in the last one year, especially the limited edition and ONYX variants. Excellent benefits and finance schemes have also pulled in customers – as a result, the Rapid outsells its sibling, the Vento. No doubt, the Rapid looks nice and list of features is very impressive – from white headlight bulbs to black alloy wheels, cruise control to cooled glovebox, the Rapid is up there with the best cars in the segment. However, 6 airbags, sunroof, cooled seats and smart entry with push button start is still missing. Space on the inside isn’t as much as say the Ciaz or the City but then again, the Rapid is marketed more as a sportier sedan than a spacious family companion. We also like both the engines on offer, the 1.6 petrol and the 1.5 diesel. The former is very peppy and gets an optional 6 speed automatic which the latter comes with segment best DSG option too. Its a big rough (the engine) but the combination makes it a great car to drive. This is also complimented by good handling characteristics – suspension is certainly geared towards handing than comfort. The Rapid gets a unique 4 year service care that comes with warranty, Skoda Assist and maintenance package for 4 years. Note that only Sigma and Delta petrol versions can be had under Rs 10 lakh on-road. The largest selling car in its category got a major facelift in August and this has translated into good sales figures as well. The car wears a sleeker, more premium look and this is due to the new grille, tweaked lamps and LED set up for the lamps. The Ciaz is still the most spacious car in the segment and the new version gets additional kit in the form of faux wooden inserts on the fascia and the doors, cruise control and a new TFT screen in the speedometer console. This is only offered in the petrol line-up and gets new dials for the pods. Looks sporty! The biggest change however is under the hood. The old 1.4 petrol has been replaced by the 1.5-litre K15B unit that not only offers larger displacement but churns out more power and higher torque. The icing on the cake comes in the form of better fuel economy than ever before, partially due to the Smart Hybrid tech, which is now being offered on the petrol Ciaz as well. The engine comes mated to a choice of transmission options, a 5-speed manual or a 4-speed Auto. The engine is less powerful than the petrols offered by the Honda City and Hyundai Verna. This said, the real strength of the new motor is in the way it builds up speeds from lower engine speeds and this makes it a great city tool. In fact, in spite of the a 4-speed auto (as compared to 5 or 6 or CVT for rivals), the A/T Ciaz does not feel under-powered, nor does it run out of breath on open roads. The new K15B engine also performs well when given the stick. While it will not be able to overshadow the Honda City 1.5 petrol or the Hyundai Verna 1.6 petrol, it will keep most owners happy, more so due to its frugal nature. The Ciaz manages to play the pricing card rather well and with improvements across parameters, this new Maruti seems all set to remain the segment leader for months to come. 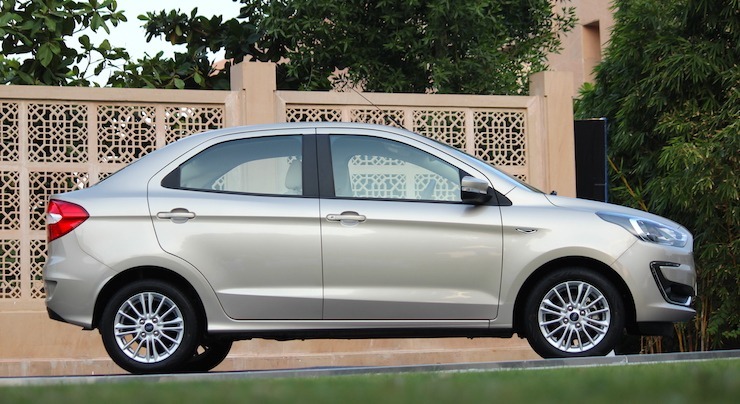 Note that post discounts, only the lower trim levels of Vento can be bought under Rs 10 lakh. One of the lowest selling sedans in India is the Volkswagen Vento and that is a shame. Given Volkswagen’s prowess in the field of passenger cars, its time they came out with a new generation Vento all together. Sales are so low, the car has benefits to the tune of Rs 1.15 lakh! The recently launched Connect Edition tries to spruce up the design but fails. On the inside, though quality is high (we love the way the doors close with a reassuring thud), design is no more modern and feature list is half empty. From a sunroof to smart keyless entry and smart stop, cooled seats or basic things like a sunglass holder. What goes in its favour is the ride and handling package which is sure to excite young buyers. The same goes for the 1.2 petrol and its DSG gearbox. This is a turbo charged motor and the 7-speed DSG manages to extract the best from the engine. The Vents also gets a 1.6 petrol (MT only) and a 1.5 litre diesel (MT and DSG). The diesel unit delivers good performance but is not as efficient as rivals and has a rough edge to it. 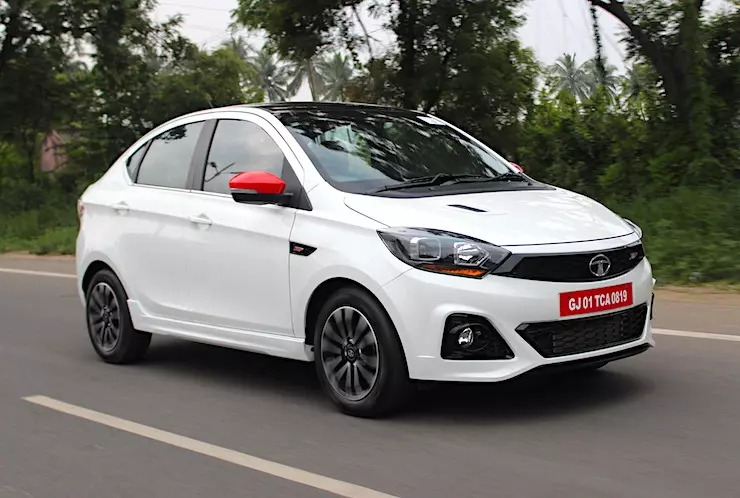 With massive discounts and the new Connect edition, the Vento might be tempting as a buy. But keep our word for it and stay away! 2) Feels sold – build like a tank! The most premium C segment sedan, one that has the highest brand value is the Honda City. The latest avatar looks sleek but remember, machined alloy wheels or LED lights are only the higher spec models. Step inside and cabin continues to impress – the sheer amount of space and comfort here is unmatched. Honda gets it right each time and from seats to ergonomics, no complaints whatsoever. It even gets a massive 510 litre boot. The City continues to get a 1.5 petrol or a 1.5 diesel unit. The petrol also comes with an optional CVT that makes it a breeze for urban runs. Its smooth, has enough punch and above average fuel economy. The diesel is very torquey but noisy at the same time and this takes away the pleasure of driving an otherwise fine car. The gearbox too fails to impressive with rough gear shifts. However, the City makes up by offering a very good ride quality. The City is the most expensive C segment sedan. That said, it does offer you a lot of kit. For example, a sunroof, smarty keyless entry with start-stop, LED lights, touch control panel for climate control, DIGIPAD 2.0 infotainment and a multi view rear camera display.